Do you know what is going to be the next venture from NASA? Well if the answer was "no" till now, it can be very well turned into a big "yes" as NASA is opening up all to you through their latest NASA app for Android. So why wait for the Free virtual tour to the space, when you can start off right now without any cost? NASA is a name that would force many to stumble especially those who have a wish to know more about this universe. But not all of us could get any opportunity to get in touch with this Institution and its whereabouts. But now good days have come with mobile technology. 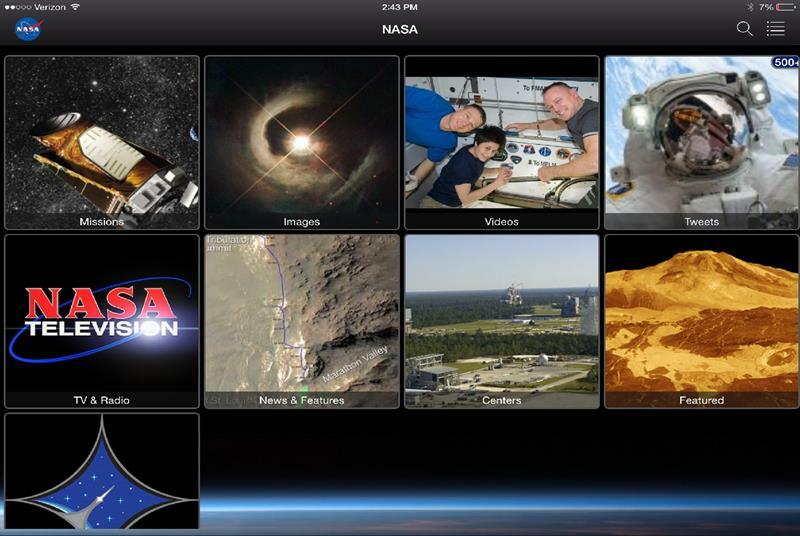 NASA is now at your fingertips with the touch of an icon through its latest NASA App. So far to keep the learners updated, NASA has been presenting a row of apps especially for iPhone with information on the latest International Space Station (ISS), and NASA Space Weather, with the latest updates on solar flares, geomagnetic storms and the like. But now they have this latest NASA app ready for Android too. The app will carry all the latest information regarding the space agency with an updated stock of information of the latest NASA content. It has got a good collection of well-written news stories, along with wide-spectrum images and videos. The app stands as a portal for streaming down the topics of NASA TV and radio, of NASA missions taking place at the present and those that are going to be taken up in the future, ISS sighting opportunities, satellite tracking, Third Rock Radio and so on. It has even included a small tour guide on the different centers of NASA, how to reach them and what to see. The landing page of the app in portrait mode starts with a 9 square grid. There are several sections included in it and the tabs have the headings of Images; Videos; Tweets; Missions; TV & Radio; News & Features; Features; Centers;and Programs. The Mission tab holds information on the live and upcoming missions of NASA. Then there are the Sighting Opportunities and Launch Schedule. The Missions are all arranged in an alphabetical order; and each topic takes you to its relevant page of information. If you are keen on their famous Missions like Hubble Space Telescope or Calipso, you would find them all here. To give a you a live picture on the major events going on in NASA, they have a place in the portal that stores up more than 14000 breathtaking photos increasing and updated everyday covering a wide range of subjects like the Deep Field view of distant galaxies, the Space Shuttle Endeavour and so on. The Videos section too is well stocked with 9000 or more high end informative video clips, including the clips of solar flares, the latest footage on the Curiosity Mars mission or ISS, and much more. The TV and Radio feature allows access to the Third Rock, which is NASA's rock music Internet radio station, and also to the NASA TV with video-out support. To keep you updated about the latest space news, there is a News and Features section which is an ever-growing collection of more than 3,000 stories, well-written and informative and you find interesting topics under the categories like "NASA in Your Life" "History and People""Station and Shuttle""Top Stories" "Breaking News" "Solar System" and lot more. There is even an option for searching specific News and articles where one can choose to print the stories through AirPrint. Now visiting a center of NASA is easier with the latest NASA app where you can plan a trip to a NASA center. There you get a map of the U.S., and therein each NASA center is been marked with a red pin icon, and your own location would show up in blue. This is a section of articles written on any one subject, mostly on the current Year of the Solar System. The articles contain a set of very basic information combined with the latest updates in a simple language to make it legitimate for everyone. This last section is made for the space professionals. Starting with topics like the launch services program of NASA, to the space agency's management of missions and the Atlas and Delta rockets it discusses everything covering the time frame of the past and future missions. 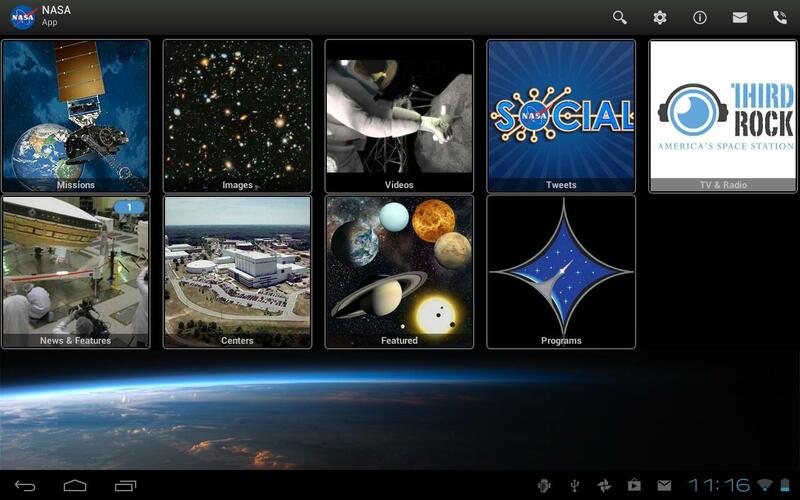 The NASA App has been developed as an educational tool that would be useful for students who are pursuing Astronomy. The app would provide them with the latest information, the future projects, images and videos and they would also get news to satellite trackers. The app would come handy to students who want to get involved in any of the four fields of STEM study and for those who want to develop a better understanding of the world where we live in, knowing more about the universe which is surrounding us. Is it for the Classroom? Yes, definitely it is. This app can work like a wonderful replacement of the paper study material in an astronomy class. It is packed with the latest set of information, supported with real photographs and videos. It will make a lesson easier to focus on, grab the intent attention of Students because of its mind-gobbling visual support and the students would stay informed with constant updates on the latest space-related news and can keep themselves abreast con the live events that are taking place through the daily releases of the NASA app. 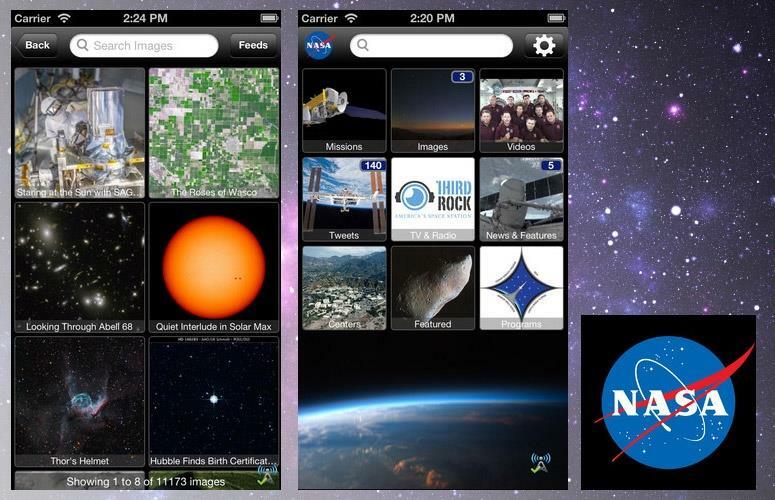 The NASA App is free. The best thing that caught my attention is that, it can be accessed by anybody who has an eye for this subject of Astronomy but isn't a professional in that field. And in my knowledge everyone would get the hang of it, as we get little chance to know about the details of such an interesting subject in our daily life. The information rich articles, the high quality images and videos, could take anybody into the space and allow them to have a virtual tour in the universe, which wouldn't have been possible for a layman to experience. Then there are the Tv and radio feeds which can be so useful for the students to get themselves updated while on the move. The app has high Educational value. It is well designed, attractive and easy to use. There are constant updates with equally sound integration with social media sites, so that you can share any interesting piece of information with your circle. it could have given some more access to the new content offline. And that the Twitter functionality could have been slightly improved. NASA app came out to be more than a treasure of information with heaps of features, that covers a massive collection of news stories, images, videos, and the latest information of the space agency's activities. It is an app for all, and so one need not join a course to know the subject of their interest and can have a virtual tour in the space free of cost.